Royal Caribbean Cruises Ltd. scored approval for a $300 million office complex at PortMiami. The Miami-based cruise company is looking to build a new headquarters that would house 4,200 employees, an increase from its current 2,200 employees. Royal Caribbean hired HOK, a St. Louis, Missouri-based architecture firm, to design a 10-story, 350,000-square-foot office building on the site of the company’s parking lot, according to the Miami Herald. 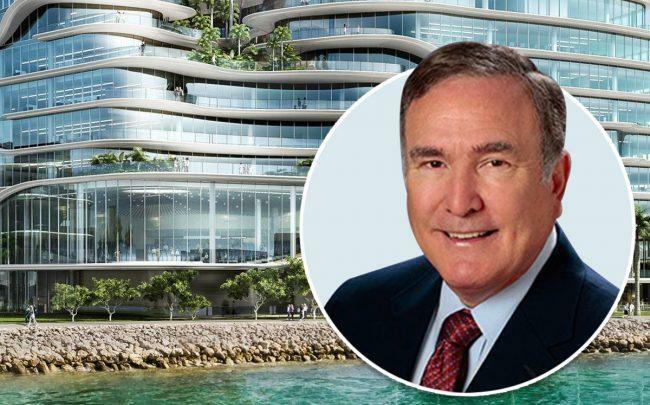 The Miami-Dade Tourism and Ports Committee approved a deal to allow Royal Caribbean to build the office building and a parking garage on the site, which is at the southwest corner of Dodge Island, the Herald reported. The county commission will vote on the proposal in May. The new building will be designed to look like a ship, and will feature Royal Caribbean’s crown logo on the roof. The parking garage will have a fitness center and a soccer field with a running track. The company’s existing two six-story office buildings will be gut-renovated and could be completed by the fall of 2021, according to the Herald. The new structures would be completed about a year before then. Roughly 550 of the company’s employees are working in co-working spaces like WeWork, due to a lack of permanent space at the port. As part of its proposed deal with the county, Royal Caribbean would pay Miami-Dade $311 million in rent over the next 40 years with two five-year extension options. The county would give the cruise company nearly $21 million in maintenance, utilities and repairs to existing buildings, and about $24.1 million in insurance reimbursements and rent-and-maintenance credits. Sea level rise is a concern for Royal Caribbean. The complex would be built 15 feet above sea level with critical machinery on the higher floors. The Herald reported that a number of climate models predict streets in Miami will flood daily by 2070.